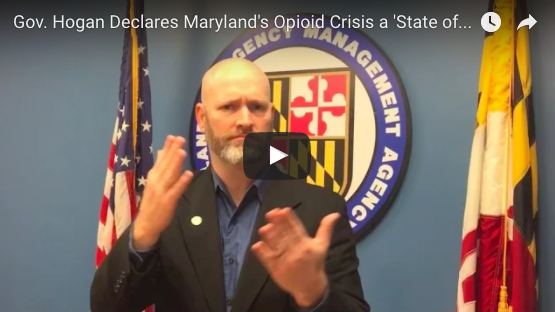 On March 1st, Governor Larry Hogan signed Executive Order 01.01.2017.02 declaring a State of Emergency in response to the heroin, opioid, and fentanyl crisis ravaging communities in Maryland and across the country. This declaration activates the governor’s emergency management authority and enables increased and more rapid coordination between the state and local jurisdictions. The governor, along with Lt. Governor Boyd Rutherford, also announced $50 million in new funding to address the crisis, as well as the appointment of the governor’s senior emergency management advisor Clay Stamp to lead the state’s coordinated effort to combat the crisis.